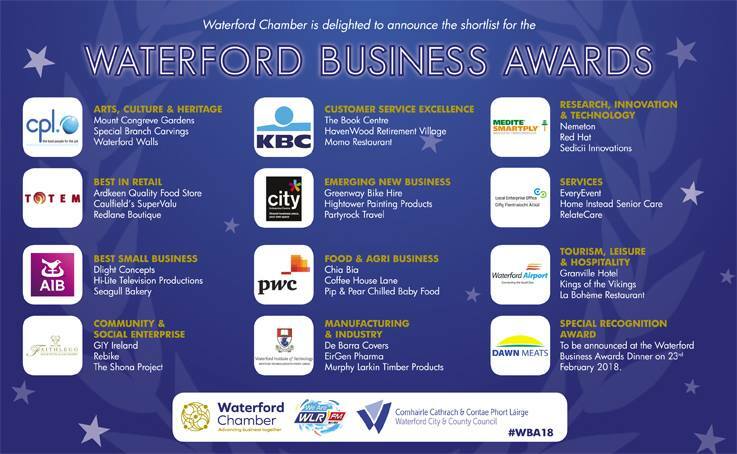 Home / Awards, News / RelateCare have been shortlisted for a Waterford Business Award! We have been named as a finalist in the prestigious Waterford Chamber of Commerce Waterford Business Awards which will take place in the Faithlegg House Hotel on the 23rd of February. 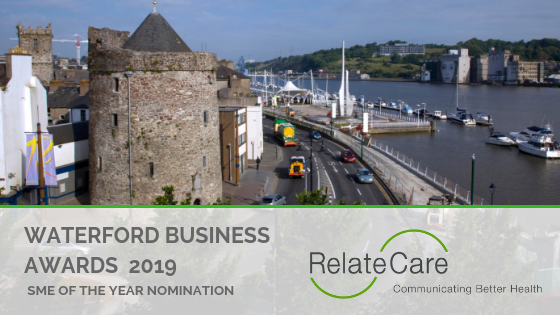 Recognised for excellence in Service, this nomination marks the incredible success of RelateCare in the last five years and the impact it has had in bringing jobs, growth, and global ambition to the Waterford business community. 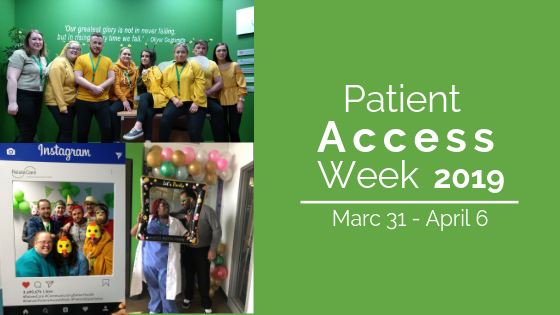 Founded in 2013 with just five employees, RelateCare began as a joint venture between Waterford contact-centre solutions provider Rigneydolphin and one of the world’s leading health systems, Cleveland Clinic following a relationship which began in 2009. Since then, RelateCare has experienced spectacular growth and now employs over 150 Registered Nurses, consultants, contact-centre experts, and patient scheduling representatives at several locations including an office in Boston, a state-of-the-art Patient Coordination Centre in Cleveland, and a Global Healthcare Communications Headquarters in Waterford, Ireland. Unlike your typical contact centre company, RelateCare is 100% dedicated to the healthcare industry and focusses on providing an elevated patient experience for patients and their families. 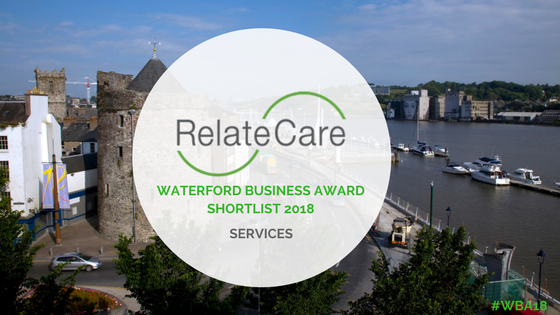 From Waterford, RelateCare delivers consultancy, contact centre solutions and support services to some of the world’s leading health systems who are seeking assistance in communicating with their patients as they transition along their care journey. RelateCare count among its partners 4 of the top 20 health systems in the USA and also manages the hugely successful smoking cessation service (www.quit.ie) in conjunction with Ireland’s Health Service Executive (HSE).